The Jimmy Butler saga in Minnesota is over and done with, but some of the remnants of the drama still linger. Especially this past week when Jimmy returned to face the Timberwolves with his new Philadelphia 76ers squad. They beat the brakes out of the young Wolves team. You know Butler wanted revenge. “I bet that environment was so uncomfortable for him. First of all, he and Jimmy are totally different people — how they were brought up, their likes and dislikes, how they approach competition. You have one guy on this side and one guy on the other side. There was a dogfight, and Karl’s not one to get into that. So, he stepped back. In the article, D. Rose said that Towns is actually a young guy that listens and is so mindful of everything that he’s told him in the past. “I don’t think bully is a good word. I tell it how it is. Whenever I was in college, I had [Marquette coach] Buzz Williams to tell me how it was. I didn’t have a bunch of McDonald’s All Americans like [Calipari] has. So, he can look at it a different way. 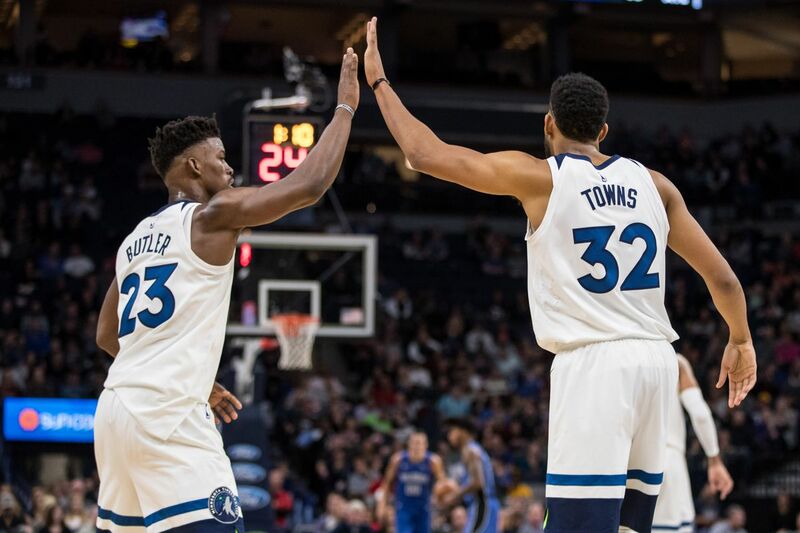 Whether you still think KAT and Andrew Wiggins are soft or Butler was in the wrong in all of this, facts are that the situation between them didn’t work and not only did it break up the team, but it got coach Thibbs fired. The two sides are now looking to move on to greener pastures. Who got the better end of the deal, though? Will Jimmy even stay in Philly next season?